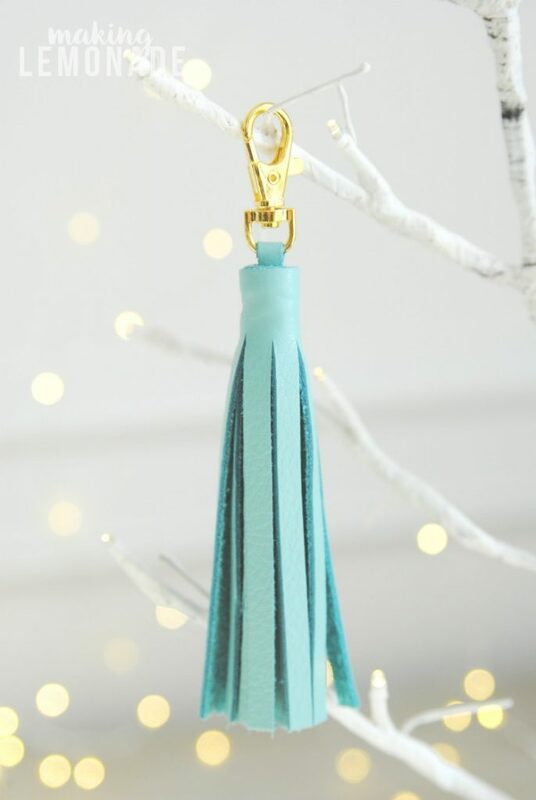 Leather tassel keychains are all the rage, and with good reason– they make it easy to find your keys, especially in a large purse or tote. 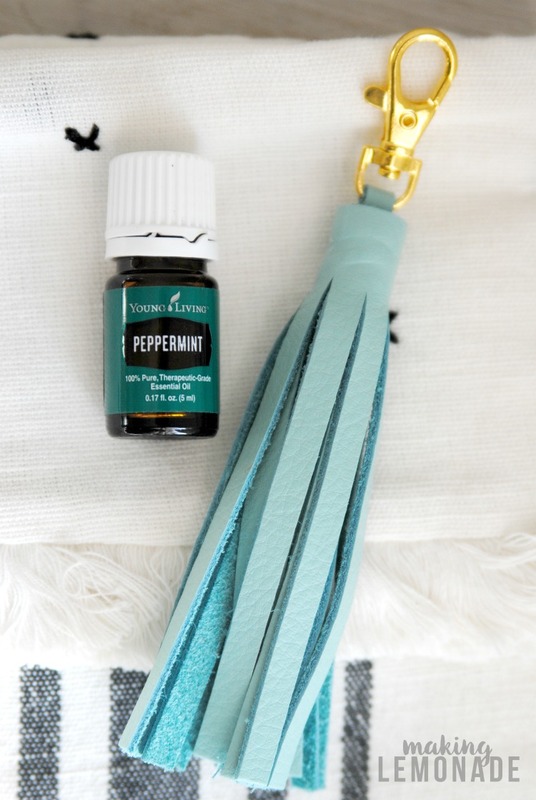 And if you use essential oils, you can add a drop of oil to the soft side of the leather for a DIY on-the-go diffuser keychain. 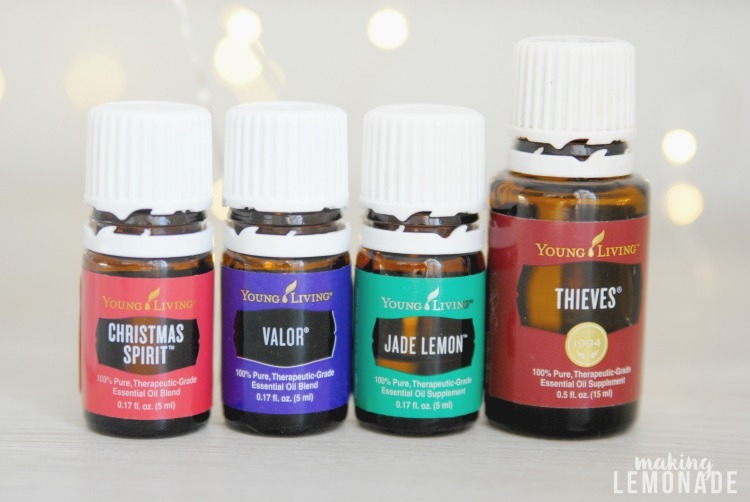 Because let’s be honest, being surrounded by the scent of Stress Away while Christmas shopping is a dream come true! 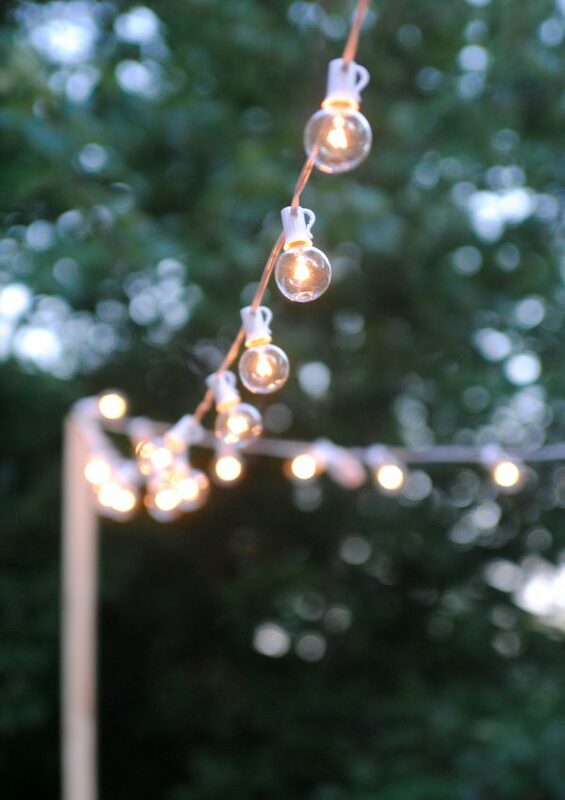 Plus… aren’t they so pretty? 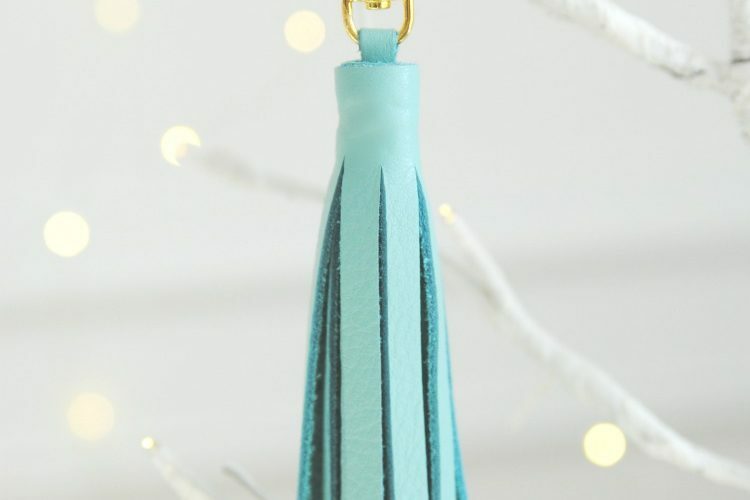 This DIY leather tassel keychain tutorial tells you how to make two, and I won’t judge you one bit if you keep one for yourself and gift the other. See how cute when clipped on a tote? 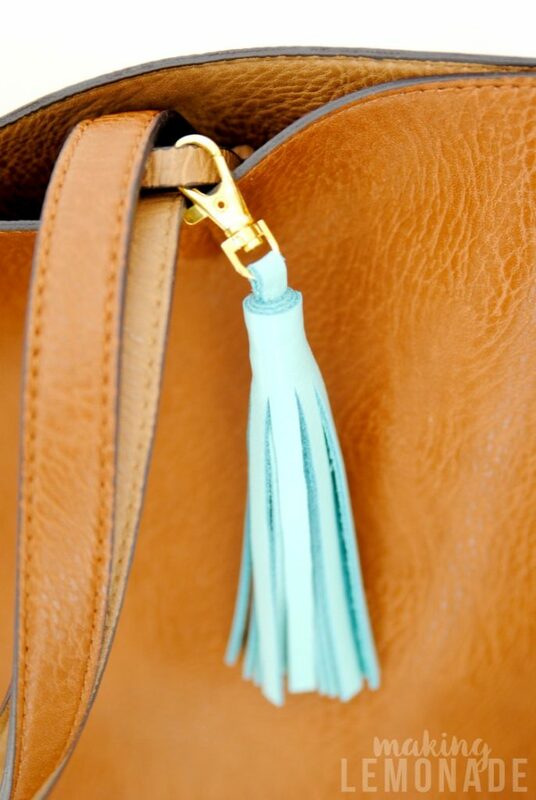 PS- it’s clipped on the faux leather tote I keep raving about! 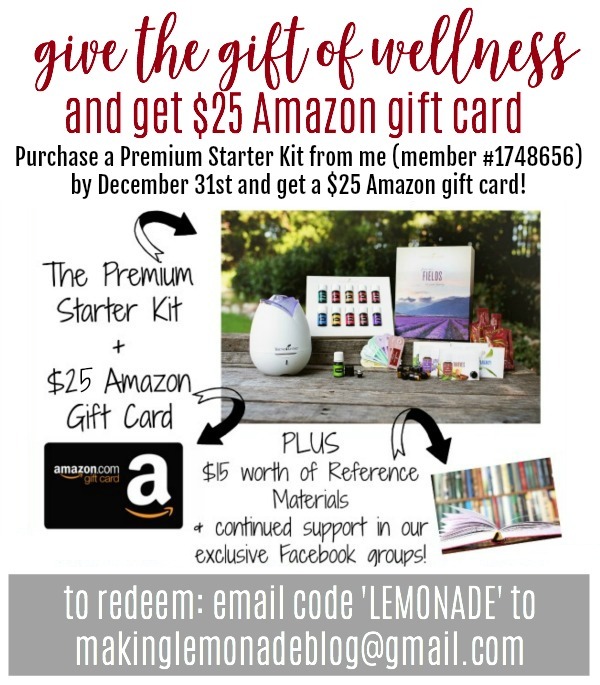 They’re great stocking stuffers, or pair with a bottle of essential oils for a handmade gift idea with wellness benefits too. This tutorial shares how to make two at one time, because once you use yours while out and about all your friends will want one too! 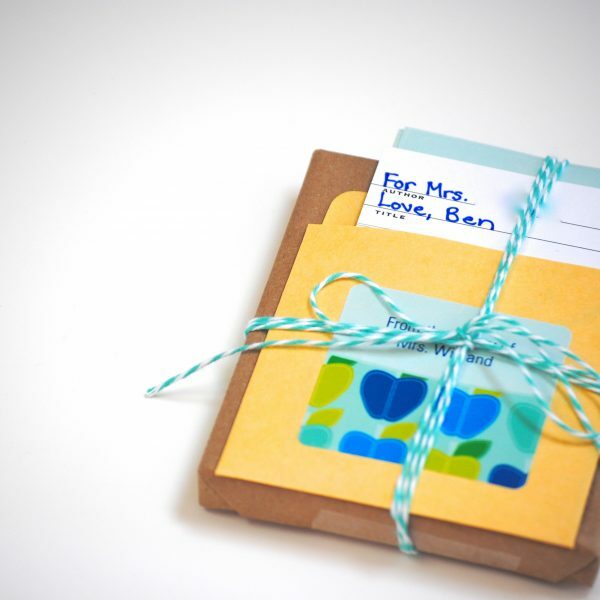 Handmade holiday gifts are just the best when they’re done right. 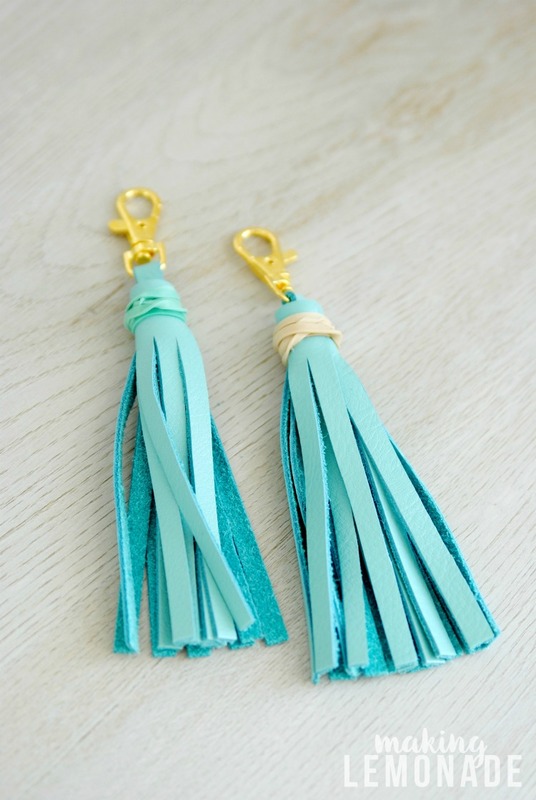 Faux leather comes in many colors, I just happened to fall in love with this shade of Tiffany blue from the craft store. 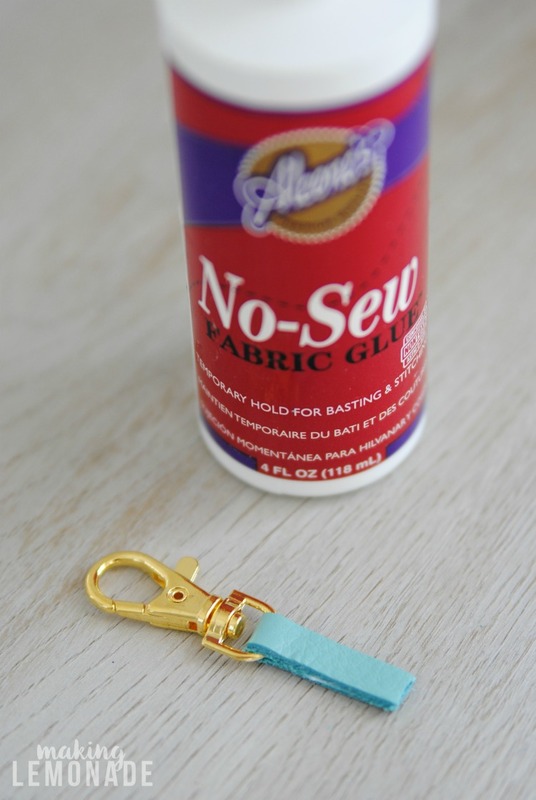 note: this tutorial makes two tassel keychains! Step One: Lay the leather piece horizontally on your workspace so the long sides are at the top/bottom. Measure 4 inches up from the bottom, and place a piece of painter’s tape across the top at that spot so the entire length of the leather is covered in painter’s tape across the top. There should be 4″ bare leather across the bottom. Step Two: Place the leather on top of a cutting mat. 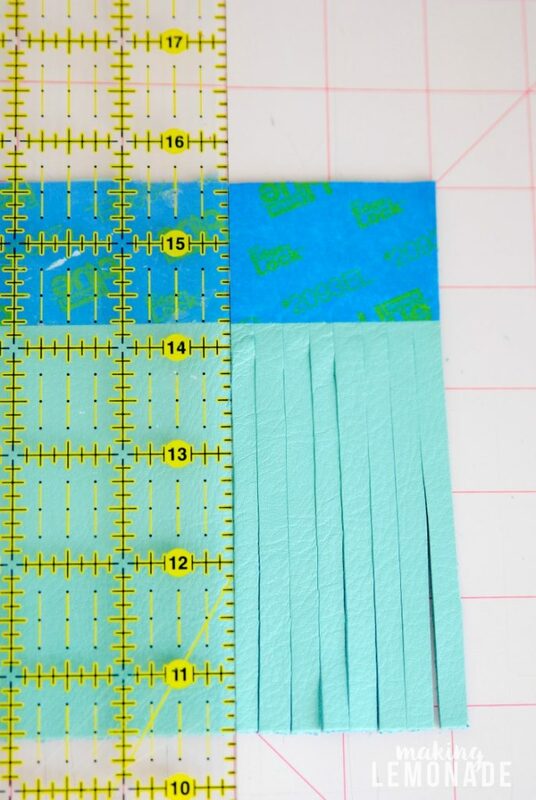 Using your ruler, mark .25 inch increments across the length of the painter’s tape just above where it meets the leather (I didn’t need to do this because I lined my OmniGrid up with the lines in my cutting mat.) 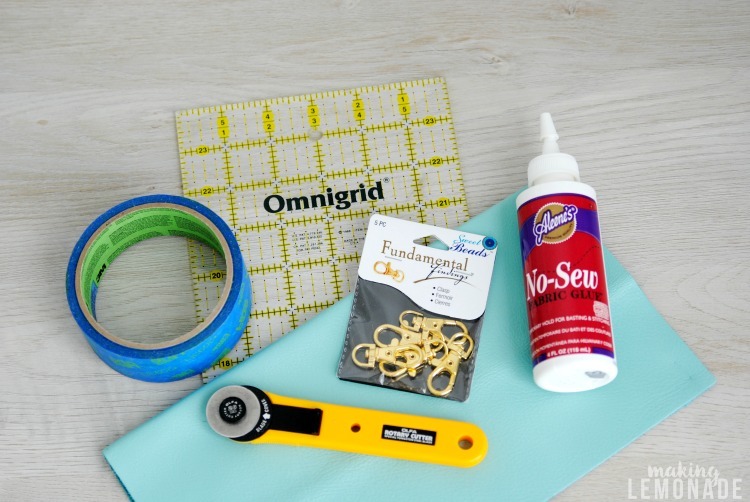 Placing your rotary cutter against the edge of the ruler/OmniGrid, carefully and completely cut through the layer of leather UNTIL YOU MEET THE PAINTERS TAPE. Stop at the painter’s tape! Step Three: Continue cutting in .25″ increments across the leather, never cutting through the painter’s tape, until you reach the end. Step Four: Using the rotary cutter, cut the section with the painter’s tape in half so that there’s 1/2 inch left attached, and a 1/2 inch strip cut off. 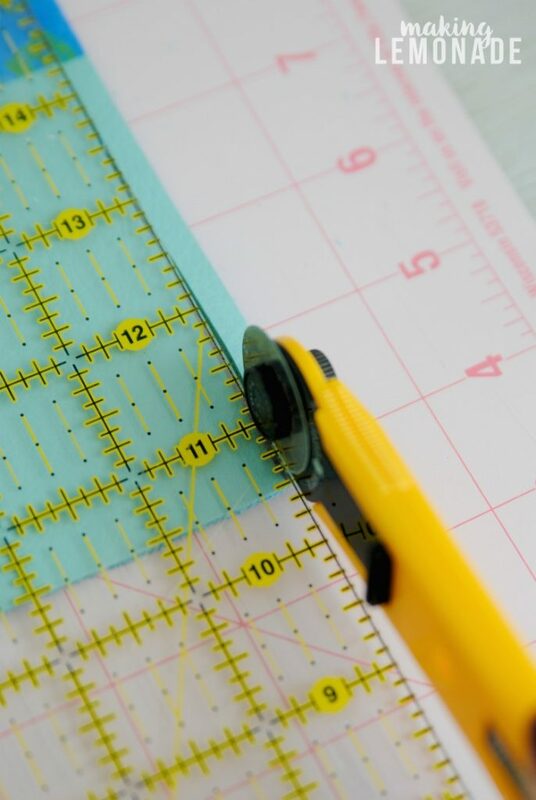 Place the remaining large piece vertically on the cutting mat (the ‘tall’ way), and measure 4″ (halfway) down. Cut in half, so you now have two pieces, one for each of the tassels. Each piece should now measure 4″ wide and 4.5″ tall. 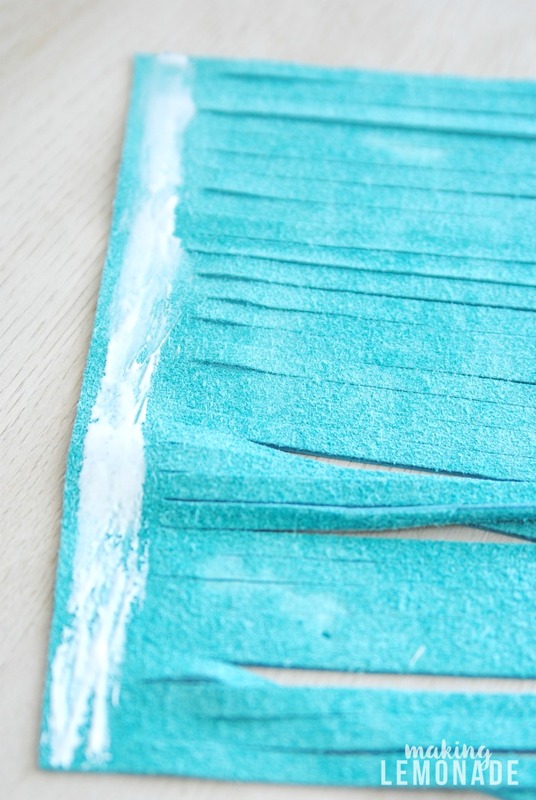 Take the small strip you previously cut off in the last step, and cut it in half again using the rotary cutter to make a smaller, 1/4 inch wide strip. 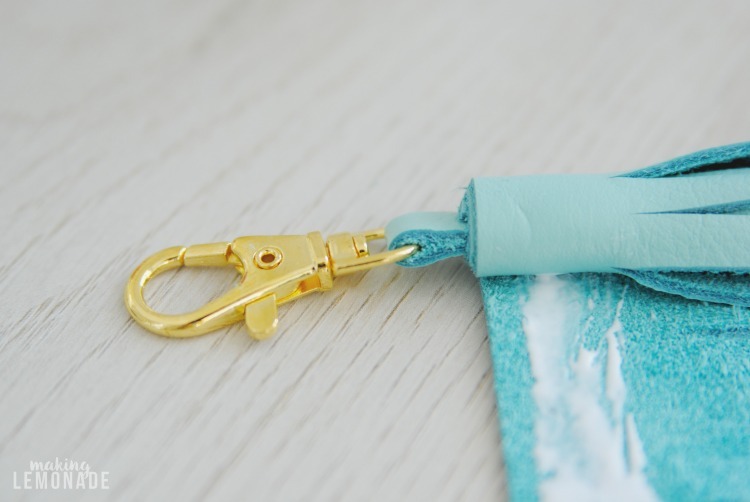 Cut a 2 inch long piece from the end of that strip, and loop it through the bottom of the lobster clasp (see below.) 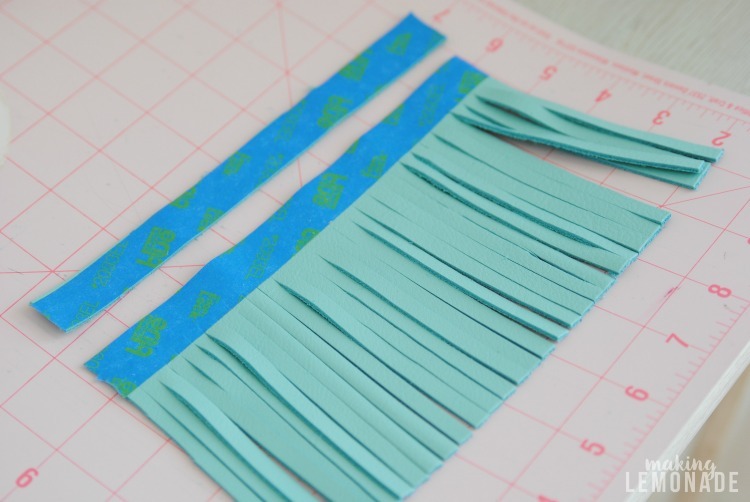 Cut a second 2 inch piece for your second tassel and repeat. 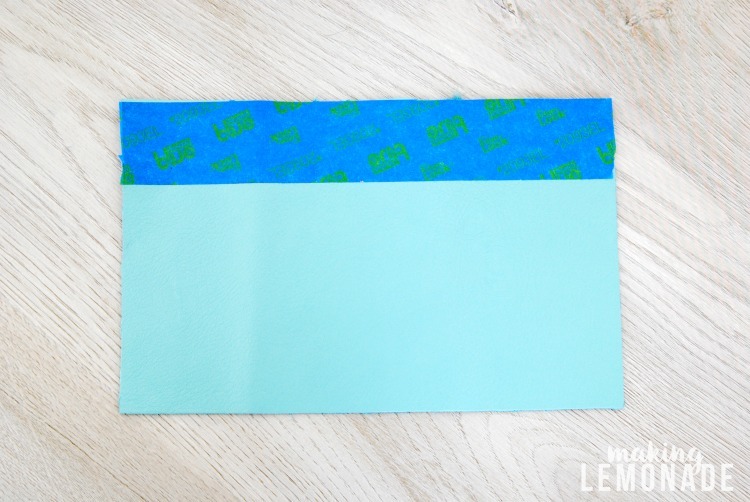 Add glue to the inside of that strip and fold together, applying pressure so it’s firmly attached, and repeat until you have made two of these. Step Five: Using the small paintbrush, apply glue along the inside top of the leather piece like so, where it hasn’t been cut. 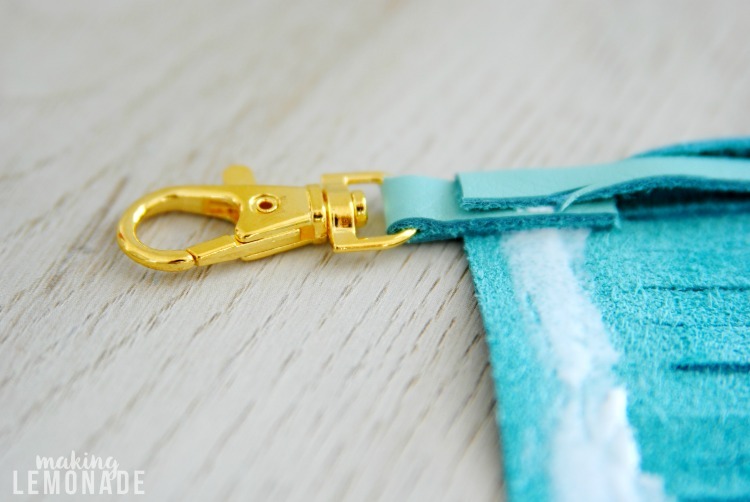 Place the piece with the clasp at the end of the leather piece, and roll all the way until it meets the end. 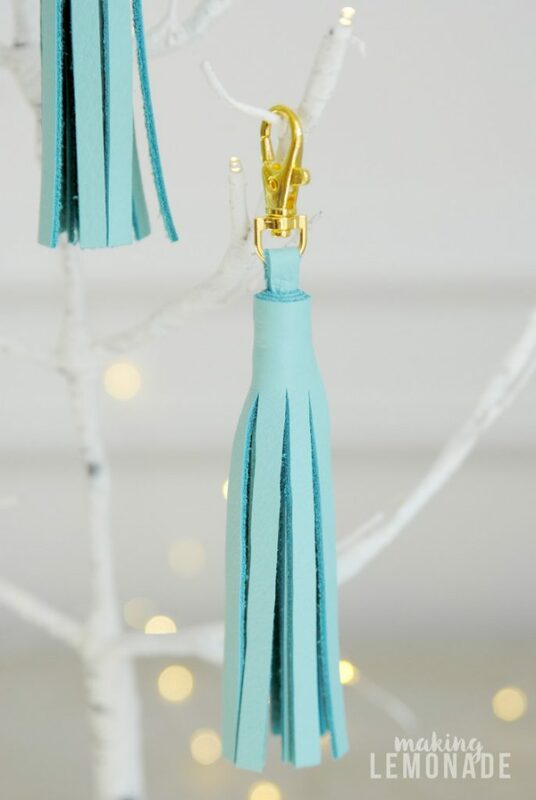 Repeat with the second piece until you have two tassels. Step Six: Rubber band closed at the top and let dry. NOTE: the leather dents easily, in hindsight I’d do this looser so it didn’t make indentations. Let dry for up to 24 hours and you’re done! 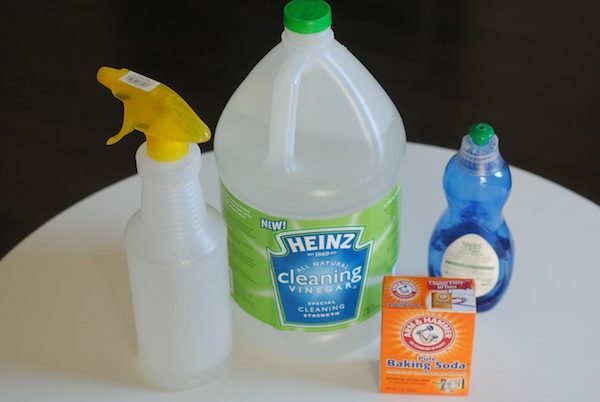 To use, place a drop of oil on the soft side of the leather. 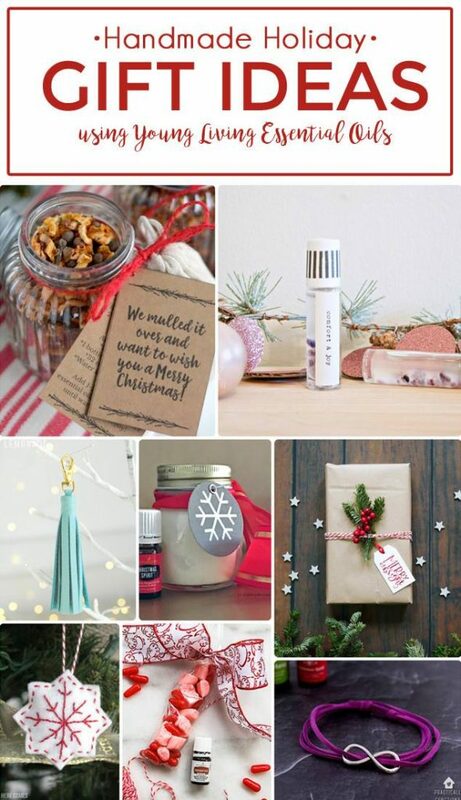 Like this handmade holiday idea? 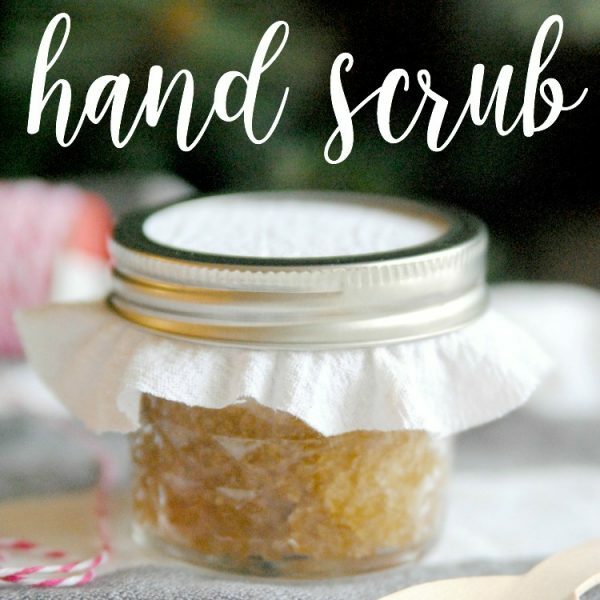 Several blogger friends have joined together for a Handmade Holiday Blog Hop, be sure to stop and see their great ideas as well! 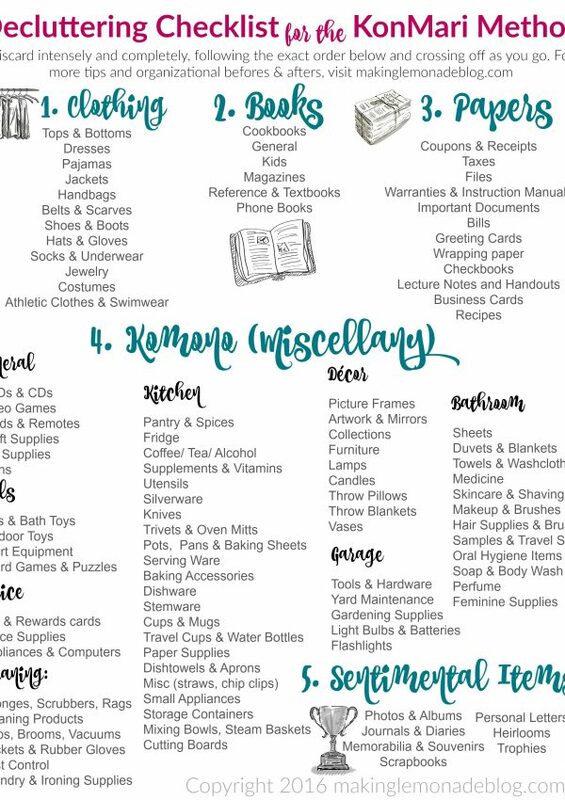 We’re also sharing all the ideas in a fun and interactive Handmade Holiday Facebook party if you can join us at 9PM tonight (December 6th); hope to see you there! 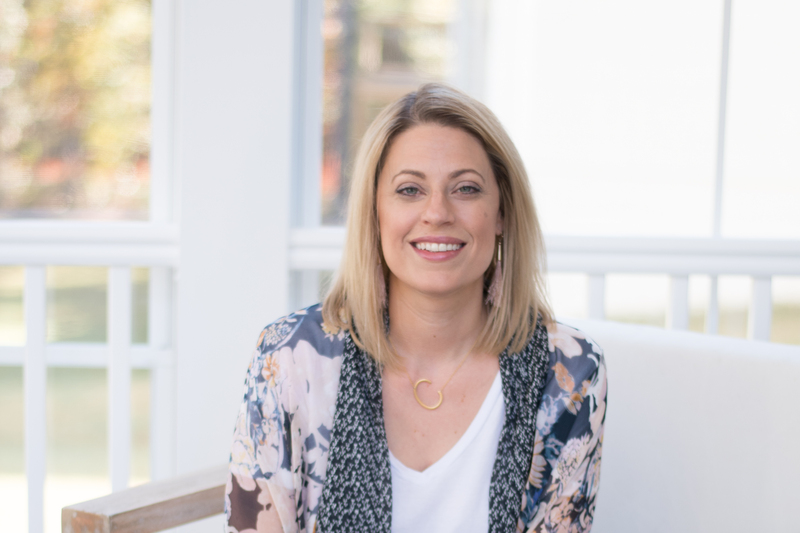 From my heart to yours, these essential oils and toxin-free products have changed my life and I’ll do just about anything to get them into your hands so they can change yours too. 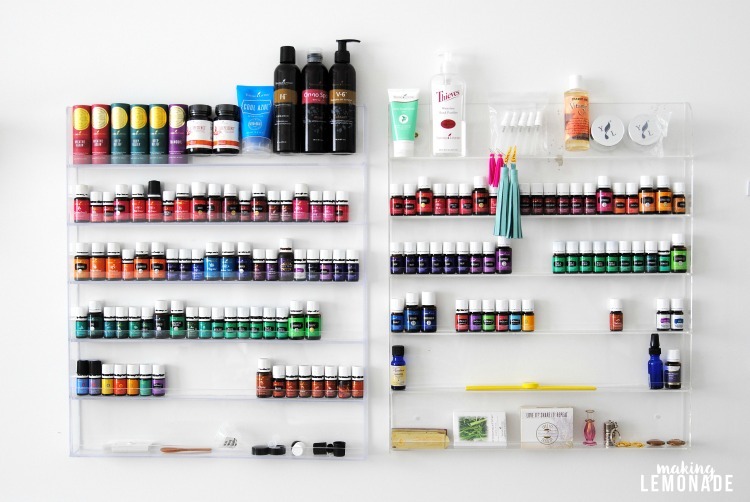 If you’re ready to get on board with the therapeutic grade essential oils, head over to my Young Living FAQ page to snag an incredible deal on this life-changing kit! 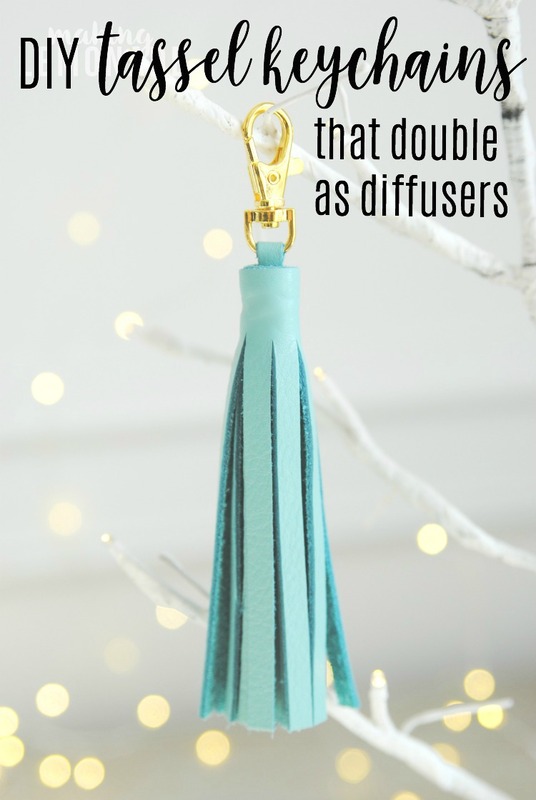 While you wait for your kit to arrive, make a few tassels so they’re ready to go once you get your hands on these precious oils and ENJOY the scent of the holiday season, stress free!